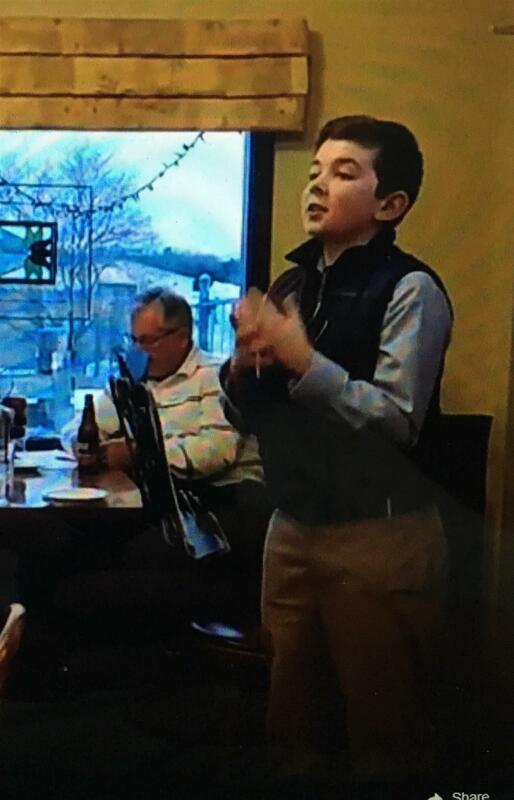 TJ King, local 6th grader, shares his passion and work to help end hunger in Eastern MA. District Grants being done differently, as shared at previous meetings. Options that Mary & Jacky have received include RFK School & Habitat For Humanity. Rotary Youth Leadership Award (RYLA) interviews completed (10 applicants, 3 delegates and 3 alternates selected). Carolyn Read’s daughter, Amelia, was among those selected. Bob hopes we can all participate in the RYLA event from June 22-24. 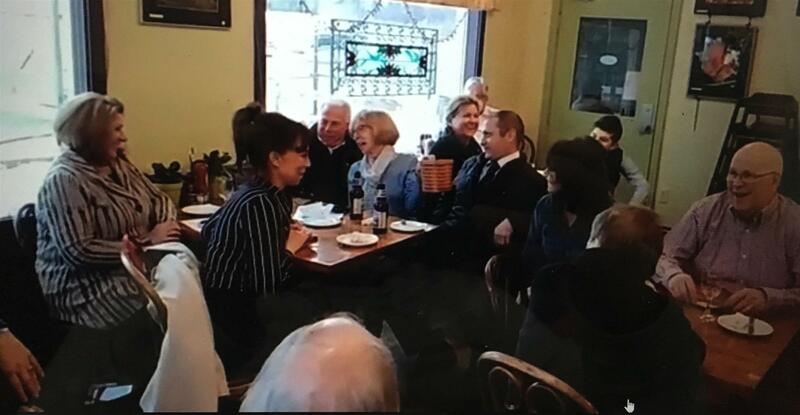 Laura happy for Chris who went to Rotary meeting in North Shanghai (just he and the President), while Chris has been away Laura has been staying busy with book club, mahjong and rotary work. Welcome to Clinton club! TJ is an impressive young 6th grader who shared that everyone is able to play a role in ending hunger. He started his organization in 4th grade through a school project to focus on raising awareness about the Greater Boston Food Bank through a video blog on youtube. With a focus on kid-friendly restaurants, travel adventure, his reviews are positive and upbeat. After each review, his family makes a donation to the GBFB in the amount of the meal check which has translated to 4,000 meals!